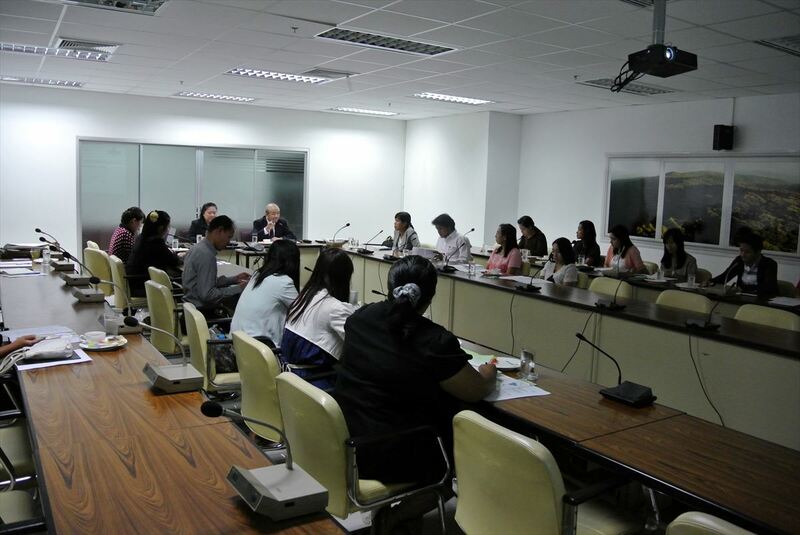 On February 6th, JSPS Bangkok Office held a JSPS guidance session at Prince of Songkla University (PSU), Thailand, which coincided with the 7th Japan Education Fair at Prince of Songkla University hosted by the Embassy of Japan in Thailand. PSU is one of the significant research universities in Thailand, which was ranked 89th in the Times Higher Education BRICS & Emerging Economies Rankings 2014. The Embassy of Japan in Thailand annually hosts Japan Education Fair at Khon Khaen, Nareswan, Ubonrachatani, and Prince of Songkla university every year respectively. JSPS Bangkok Office has joined the fair since FY 2012. 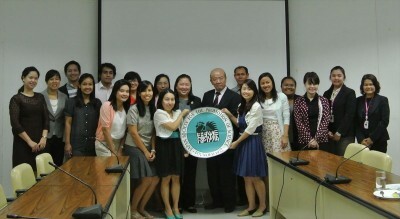 At the seventh Japan education fair in Songkla, Mr. Tsutomu Nakagawa, Minister of Japanese embassy, and 16 delegates from Japanese universities including Fukui University of Technology, Meiji University, Tokai University, Tokyo Institute of Technology, and supporting organizations- JASSO and JSPS, and Old Japanese Student Association in Thailand made a courtesy visit to Dr. Amornrat Phongdara, Vice President of PSU. JSPS Bangkok Office held the guidance session “Introduction of JSPS activity in Asia and sharing information about research opportunity in Japan” at Learning Resources Center Building, PSU. Dr. Wiphada Wettayaprasi, Deputy Director for Research Information and Publications made her opening remarks in which she emphasized the importance to conduct joint research activities with JSPS and National Research Council in Thailand (NRCT) in order to promote Japan-Thailand collaboration. Dr. Chalermkiat Songkram, assistant professor of Faculty of Pharmaceutical Sciences, former JSPS Postdoctoral fellow and also the executive board member of JSPS Alumni Association in Thailand (JAAT) and Dr. Sirusa Kritsanapuntu, assistant professor of Faculty of Science, former JSPS RONPAKU fellow delivered a lecture regarding research experience in Japan. Dr. Chalermkiat provided detailed information e. g. application procedures, research plans, and moreover introduction of JAAT as well. Dr. Sirusa Kritsanapuntu obtained her Ph. D degree at Nagasaki University. As a consequence of her RONPAKU program, PSU concluded a Memorandum of Understanding (MOU) with Nagasaki University for promoting research collaboration and student exchange. In addition to the speakers, two more JSPS alumni Dr. Sompong Te-chato, associate professor of Faculty of Natural Resources who was recipient of Monbukagakusho scholarship and JSPS Postdoctoral fellowship, and Dr. Vannarat Saechan, who was recipient of Monbukagakusho scholarship and participated in JSPS Core University Program joined the seminar to explain about JSPS programs and their experience. All JSPS alumni at PSU gathered to the session. During Q&A sessions, various questions e.g. the application period and starting period, requirement of publications, and how to find academic advisor were asked intensively among 25 participants. JSPS Bangkok Office realized the importance of collaborating with JSPS Alumni researchers to promote JSPS programs in this region at least once a year.